A brand new update to Google Chrome for iOS has made it easier to multitask — at least on certain devices. It has also streamlined the purchasing process for online shopping. 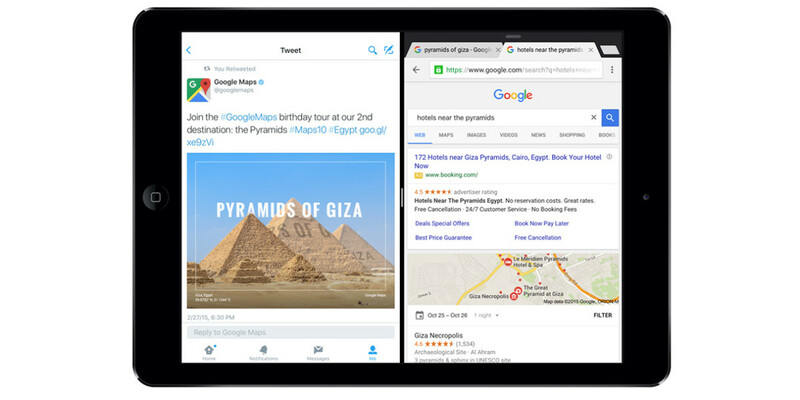 Now, Chrome offers iOS 9’s Split View functionality on the iPad Air 2 or mini 4. Buying stuff from your iPhone or iPad? You no longer have to painstakingly enter your credit card number for each purchase (or hunt down that secret place where you keep the number to easily copy and paste). The new version of Chrome brings the app’s autofill feature from desktop and Android to iOS. Read next: Do Facebook's new video features bring them closer to toppling YouTube?